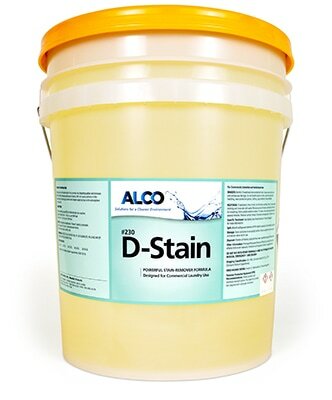 Alco D-Stain - Alco-Chem, Inc. Concentrated chlorinated bleach provides fast bleaching action, removes difficult stains. Restores whiteness to fabrics.